KENNEDY, Sir ARTHUR EDWARD, soldier and colonial administrator; b. 5 April 1809 in County Down (Northern Ireland), the fourth son of Hugh Kennedy and Grace Dorothea Hughes; m. 18 May 1839 Georgina Mildred Macartney, and they had three children; d. 3 June 1883 off Aden in the Red Sea. In 1851 Kennedy’s office was abolished and he applied for a position in the colonial service. In May 1852 he was appointed governor of Gambia, but before assuming office he obtained the governorship of Sierra Leone. In the capital, Freetown, he found a corrupt and inefficient government and was forced to make many administrative changes. This reformist zeal earned Kennedy a number of local enemies but the Colonial Office supported him and in 1854 appointed him, in addition, consul general for the adjacent Sherbro district (now part of Sierra Leone). Having “earned his credit in the Colonial Service by his courage in grappling with abuses,” Kennedy was promoted in the fall of 1854 to the governorship of Western Australia where he continued his vigorous administrative approach to colonial government. He also encouraged an economic revival by increasing revenue and immigration, promoting land sales, and sponsoring explorations for arable land and mineral resources. Like Sierra Leone, Western Australia had no popular assembly and the strongly executive character of the constitution raised the possibility of the governor exceeding his powers; Kennedy was overruled at least once by the Colonial Office. Nevertheless, by the end of his term in 1862, Kennedy was regarded as one of the “best governors” in the colonial service. The fierce competition for governorships delayed Kennedy’s re-employment until July 1863. His appointment, made public in December, was to the comparatively insignificant colony of Vancouver Island. After six years of joint governorship under Sir James Douglas*, the island and mainland British Columbia were now each to have a separate governor; Frederick Seymour* was appointed for the mainland in January 1864. Kennedy and his party arrived at Victoria on 25 March 1864 and were received with great flourish. The press hailed Kennedy’s appointment as a long-awaited change from the Hudson’s Bay Company’s influence, and from the nepotism and authoritarianism that it thought the colony had suffered under Douglas. However, the House of Assembly was worried that the appointment of a separate governor for the mainland colony would jeopardize Victoria’s favoured position. Just prior to Kennedy’s arrival the assembly had refused to vote a permanent appropriation for the civil list in return for control of the extensive crown lands of the colony, an arrangement requested by the Colonial Office. Now, it threatened to withhold Kennedy’s salary, and it denied him supplies, an appropriate office, and clerical assistance. In the absence of a government house, the new governor and his family were confined to a hotel. The shabby treatment of the governor was denounced at a “monster meeting” by the citizens of Victoria but the assembly was not persuaded to make amends, although in the matter of his salary and those of his officials an uneasy truce was concluded in July 1864 when the assembly agreed to indemnify the executive for any loss incurred in paying the salaries. Early in his administration Kennedy pledged his support for universal, government-financed, non-sectarian education, a goal that was realized in 1865 by the Common School Act. He also drew attention to the general ignorance of the hinterland and its resources, and promised government aid to any private concern searching for minerals on southern Vancouver Island. In June 1864 a consortium of local interests organized and dispatched a party headed by Dr Robert Brown*, and in July the expedition discovered gold at Sooke, about 20 miles from Victoria. There appeared to be “payable diggings,” and, as one Victorian commented, “Everyone here has gone cracked about the Sooke mines and the place is becoming depopulated.” The Sooke discovery created a sudden appreciation in the value of crown lands, and encouraged Kennedy to reintroduce the Colonial Office’s proposal to convey the lands to the assembly in return for the vote of a civil list. The assembly again refused. Kennedy also found himself at odds with the assembly with regard to a proposal to unite the colony with British Columbia. The terms of the resolutions passed by the assembly emphasized the interests of the island, but Kennedy argued that any prospective union must encompass the interests of both colonies. 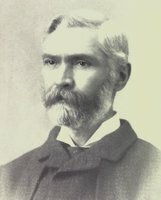 In January 1865, however, the assembly was persuaded by Amor De Cosmos* that union would revitalize Vancouver Island’s sagging economy: it resolved to accept any form of union with British Columbia that the Colonial Office might grant, a position which could not have pleased Kennedy more. In matters of public administration Kennedy devoted himself, predictably, to correcting the numerous irregularities he encountered and to improving efficiency. Believing in the value of a competent, well-paid, and respectable civil service, he insisted on the resignation of several corrupt or unqualified officials. He also ordered that the public accounts be audited and that delinquent real estate taxes be collected. The budget for 1865, which totalled $390,000, reflected Kennedy’s desire to increase the size and emoluments of the civil service. Although the assembly did not enact the entire budget, it voted salaries for the governor’s staff, rent for Kennedy’s residence, and even appropriated $50,000 for a permanent government house, probably to improve Victoria’s chances of being designated the capital of the proposed united colony. Because of his experience in Africa and Australia, Kennedy considered himself a competent judge of Vancouver Island’s native people. 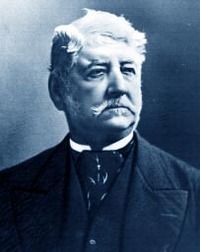 He believed that their contact with Europeans invariably brought drunkenness, prostitution, and violence and that their “very lamentable condition” was caused by the brisk and illegal trade in alcohol carried on by Europeans, such as the former police commissioner, Horace Smith. Kennedy advocated the separation of Indians from whites, and, with the acting attorney general, Thomas Lett Wood, he tried to facilitate the conviction of whisky traders by strengthening the prohibitions against the trade and by permitting Indians to testify on oath in court. These measures were, however, blocked by the assembly, as was Kennedy’s proposal to employ qualified Indian agents. He urged the crown to recognize native ownership of land and to permit alienation of Indian land only after “fair consideration,” but the Colonial Office deemed that compensation for Indian lands should be made by the colonists, which in effect meant that “fair consideration” might never be paid. Although Kennedy was convinced that the successful government of Vancouver Island’s native people depended on the impartial application of the law, he approved, however unhappily, of the Royal Navy’s bombardment of the Ahousahts of Clayoquot Sound in 1864. In this raid, purportedly carried out in retaliation for the murder of the crew of the trading vessel, Kingfisher, the guns of the Royal Navy demolished nine Indian villages and killed 13 Indians. With the advent of economic depression Kennedy’s popularity declined and his problems with the assembly, which demanded retrenchment, increased. When the governor introduced his estimates for 1866, totalling $193,000, the Daily British Colonist, controlled by assemblymen De Cosmos and Leonard McClure*, intimated that Kennedy was “deranged.” Kennedy’s low opinion of the assembly appeared to be justified when De Cosmos introduced a wild scheme to repeal taxes and borrow huge sums for operating expenses and public works; Kennedy rejected the scheme. In May 1866 the government’s overdraft at the Bank of British North America stood at $80,000 and the bank refused further credit. In the face of collapsing finances the assembly expressed “non-confidence” in the governor and it expired in September without having sent the governor a bill of supply. Kennedy managed to keep the government functioning until the news arrived of the impending union of the colonies. According to the imperial act of union the governorship of the united colony devolved upon Seymour, and Kennedy was perforce unemployed. In sharp contrast to his arrival, Kennedy’s departure from Victoria on 23 Oct. 1866 was a disheartening affair. The disastrous economic condition of the colony and the unfavourable and unpopular terms of union were conditions only too apparent to the Victorians who bade him and his family a perfunctory farewell. However, Kennedy’s misfortunes in Vancouver Island were caused largely by peculiar and local circumstances, in particular by an aggressive assembly fully poised to challenge the predominance of the executive. Kennedy, unable to develop a rapport with what the Colonial Office called a “lunatic House of Assembly,” discredited his régime early by promoting costly plans to enlarge the bureaucracy and by appointing officers who had little or no influence beyond the executive. The confrontation between Kennedy and the assembly was exacerbated by severe economic depression and compounded by increasing anxiety concerning the union question, the resolution of which lay entirely with the Colonial Office in London. When news of the seemingly adverse settlement reached Victoria in September 1866, the last vestiges of public confidence in Kennedy vanished. Kennedy’s governorship of Vancouver Island, however, was merely a brief unhappy interlude in an otherwise successful public career that spanned 56 years. In December 1867, having returned to London, he was rewarded for his recent trials in Vancouver Island by a knighthood and the governorship of the West African settlements. After his term there, he received two important appointments, the governorships of Hong Kong (1872–77) and Queensland (1877–83). When returning home from Sydney, Kennedy died on board the Orient and was buried at sea. At the time of his death his estate consisted of nearly £11,000. His public services had been acknowledged by various honours: cb (1862), kcb (1867), kmg (1871), and kcmg (1881). PABC, Crease coll., Henry Pering Pellew Crease; Arthur Stanhope Farwell, Diary (typescript); Vancouver Island, Executive Council, Minutes, 26 March 1864; Governor, Despatches to London, 1864–66 (letterbooks). PRO, CO 60/17: ff.176–92v. (transcripts at PABC); 60/19: 474; 60/31: 298–302; 305/22: 21, 99, 167–71; 305/23: 477; 305/25: 471; 305/28: 63–80, 175; 305/30: 340; WO 25/787: f.29. Univ. of Nottingham Library (Nottingham, Eng. ), Manuscripts Dept., Newcastle mss, Letterbooks, 1859–64 (mfm. at PAC). W. F. Butler, Sir William Butler, an autobiography (London, 1911), 12. G. B. Parl., Command paper, 1867, XLVIII, , pp. 281–332, Further papers relative to the union of British Columbia and Vancouver Island . . . [J. S. Helmcken], The reminiscences of Doctor John Sebastian Helmcken, ed. Dorothy Blakey Smith ([Vancouver], 1975), 208. Daily British Colonist and Victoria Chronicle, 4, 21 April, 29 July, 27 Aug. 1864; 21, 22 Feb., 26 April, 13 May, 7 July, 29 Nov., 23 Dec. 1865; 27 Jan., 8 Feb., 24 July, 23 Aug. 1866. Illustrated London News, 16 June 1883. Lagos Times and Gold Coast Colony Advertiser (Lagos), 25 July 1883. Times (London), 11, 15 Nov. 1854; 5 Dec. 1863; 25 Dec. 1867; 13 June 1883. Victoria Daily Chronicle, 27 March, 8, 12 April, 3 July, 28 Aug., 23 Nov. 1864; 31 March, 30 Nov. 1865; 8 Feb. 1866. F. B. Archer, The Gambia colony and protectorate: an official handbook (London, 1906; repr. with intro. J. M. Gray, 1967), 336. The Colonial Office list . . . (London), 1879. DNB. G. B. Endacott, A history of Hong Kong (London, 1958). Robin Fisher, Contact and conflict: Indian European relations in British Columbia, 1774–1890 (Vancouver, 1977). Christopher Fyfe, A history of Sierra Leone (London, 1962), 266–72, 275, 306. H. C. Gilliland, “The early life and early governorships of Sir Arthur Edward Kennedy” (ma thesis, Univ. of British Columbia, Vancouver, 1951). J. M. Gray, A history of the Gambia (London, 1966), 435. Ormsby, British Columbia. P. F. Palmer, “A fiscal history of British Columbia in the colonial period” (phd thesis, Stanford Univ., Calif., 1932). A. B. C. Sibthorpe, The history of Sierra Leone (4th ed., New York, 1970), 70. 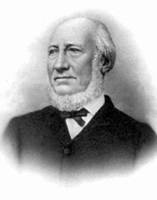 R. L. Smith, “Governor Kennedy of Vancouver Island and the politics of union, 1864–1866” (ma thesis, Univ. of Victoria, 1973). H. C. Gilliland, “Arthur Kennedy’s administration of the colony of Western Australia examined as a background to the initiation of the Vancouver Island exploration expedition of 1864,” BCHQ, 18 (1954): 103–15. R. L. Smith, “The Hankin appointment, 1868,” BC Studies, 22 (summer 1974): 26–39; “The Kennedy interlude, 1864–66,” BC Studies, 47 (autumn 1980): 66–78. Robert L. Smith, “KENNEDY, Sir ARTHUR EDWARD,” in Dictionary of Canadian Biography, vol. 11, University of Toronto/Université Laval, 2003–, accessed April 22, 2019, http://www.biographi.ca/en/bio/kennedy_arthur_edward_11E.html.